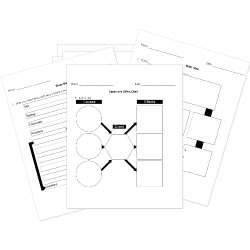 You can create printable tests and worksheets from these Grade 12 Character Study questions! Select one or more questions using the checkboxes above each question. Then click the add selected questions to a test button before moving to another page. Which term describes a character who is three-dimensional and complex? Read the excerpt from Gilgamesh: A New English Version. They could hear Humbaba's terrifying roar. "protect me on this dangerous journey. Remember me, help me, hear my prayer." They stood and listened. A moment passed. before he enters the depths of the forest"
What characteristic of an epic hero does the excerpt reveal? at a thousand miles they pitched their camp. a six weeks' journey for ordinary men. A symbolic character can be a person but it can also be a feature on the person. A character who fails to understand all implications of the story he or she tells. Which word best describes the Knight? How does the author support the assertions about the Knight's character?